TECT is a place where quality theological education is offered for the Sierra Leone community in particular and Africa in general. For over 50 years in operation, TECT has proven its credibility through the effective ministries of her products spread in and outside the shores of Sierra Leone. 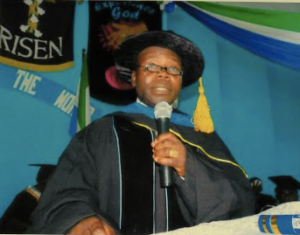 This success story has been made possible as a result of qualified, committed and dedicated staff and having the best equipped theological library in Sierra Leone.